We had, in the previous post, written about the invasion of Hyder and Tipu and the testimony of Vella Namboodiri. From the responses received we notice that many of our esteemed readers have accused Tipu for his various violent acts in Malabar. We realise that it was a mistake to club together Hyder and Tipu while discussing Vella's History as the latter dealt with only the author's encounter with Hyder. We seek to remedy this by quoting another testament which has come to light only recently and sheds some new light on Tipu's acts in Calicut. Outlookindia.com has, in its issue dated 25 April, 2013, published an article by Francois Gautier ( the author of Rewriting Indian History) titled 'The Tyrant Diaries'. According to the author, an old trunk kept in the attic of a flat in Paris contained the diary of Francois Fidele Ripaud de Montaudevert, who was part of Tipu's army which had invaded Calicut in 1797-99. The trunk belonged to a descendant of Ripaud and was discovered in December 1988 after her death. Ripaud had faithfully recorded his experience as an adventurer and of the times he served Tipu's army. He had enrolled as a sailor at age 11 and, after many adventures, had reached Mauritius where he got married and settled down. When he heard of Tipu and his expeditions, he sailed from Mauritius to Mangalore and met the Mysore ruler to offer assistance. 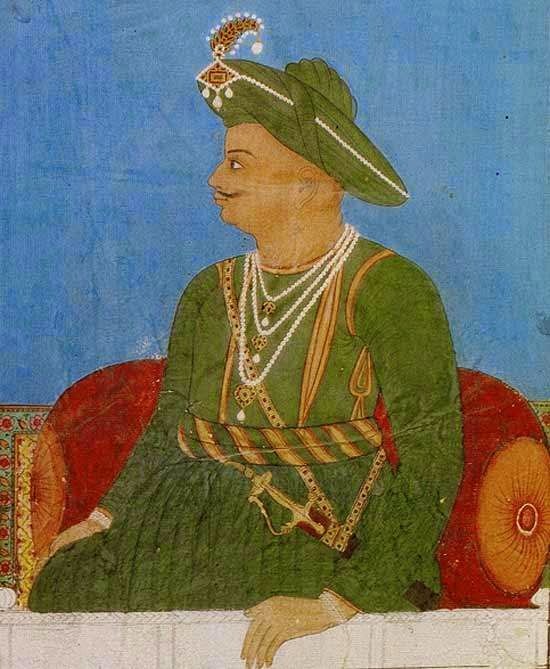 Tipu who had already been trained by French officers in the employ of his father, jumped at the idea and gave Ripaud credentials to recruit a French force to assist him. Following the return of Ripaud to Mauritius with the credentials, Malartic, who was the Governor of Mauritius put up on 29 January 1798 a public proclamation asking for volunteers to join an expedition to travel to Mysore to assist Tipu in his resistance to British encroachment in South India. Approximately 100 men were recruited, and they left for India on the French frigate La Preneuseon 7 March 1798. Ripaud was particularly shocked by the treatment meted out to the people of Calicut during Tipu's invasion. This was what he recorded in his diary: “Most of the Hindu men and women were hanged...first mothers were hanged with their children tied to their necks. That barbarian Tipu Sultan tied the naked Christians and Hindus to the legs of elephants and made the elephants move around till the bodies of the helpless victims were torn to pieces. Temples and churches were ordered to be burned down, desecrated and des­troyed. Christian and Hindu women were forced to marry Mohammedans, and similarly, their men (after conversion to Islam) were forced to marry Moha­mm­edan women. Christians who refused to be honoured with Islam were ordered to be killed by hanging immediately. " Disgusted by these barbaric acts, Ripaud left Srirangapatnam and left for France where he enrolled in the navy and fought the war against the British. He was killed on 23 rd February, 1814. According to Gautier, 'Even the British, his arch enemies, gave a 21-cannon salute to this brave adventurer, once Tipu Sultan’s ‘Great White Hope’. Much of the narrative defending Tipu against charges of fanatic barbarism was that these stories were invented by the British historians to defame the patriotic Mysore ruler and to drive a wedge between two communities. But, here we have the testimony of an ally who has faithfully recorded his sense of revolt at the atrocities as these were being committed by forces he was fighting along with. There is apparently no reason to disbelieve this account. Thank you, Maddy, for your comments. We share your skepticism. In fact, we had inserted a caveat (within brackets) based on your comments on an earlier draft. It is rather surprising that mainstream historians have either ignored Gautier and his source or not noticed the anachronism. Meanwhile, Hindutwa crowd has been spreading the news of the Tyrant Diaries as one more proof of the anti-Hindu stance of Tipu! History is, as often, the casualty in this game!! The visionary and statesman king of entire South India was Raja Pratapasimhan of Thanjavur He foresaw the danger of Hyder who came close to Chidambaram and made alliance with British and drove Chandra Sahib out if Tanjore territory subsequently to be killed by one of the Maratta General thus preventing major CATASTROPHY of HYDER/CHANDA SAHIB. Thus by allying with British he saved Tamilnadu paving the way for supremacy of British.